Robin HR 200/125 01 F-WSQP. 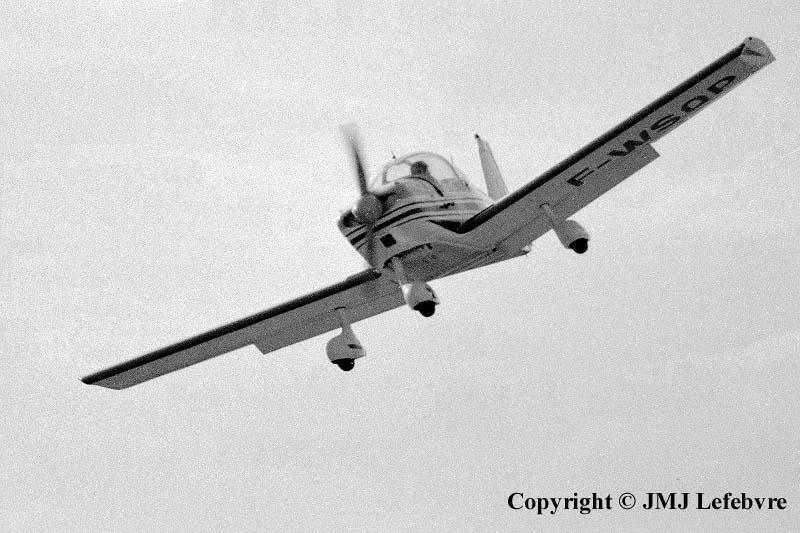 At the time, always with its W prototype registration, its first flight as prototype 01was quite fresh, the Robin HR 200/125 became F-BSQP. Note the difference in the steep final with previous picture of Rallye without engine. It was the type of final I loved to do...after a flight or navigation at very low altitude !